According to the LA Times, the flight was bound for Newark, N.J., but the captain made an unscheduled stop in San Francisco to eject the man. 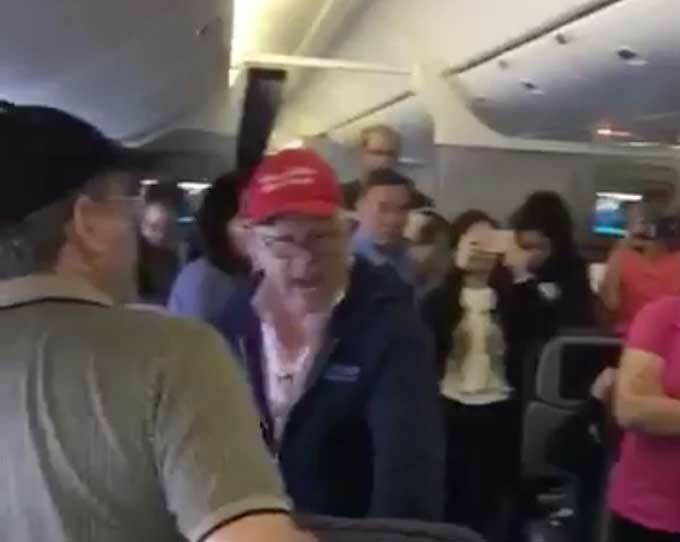 Cellphone videos taken abroad the aircraft showed the man shouting, “I am entitled to that seat,” then screaming at fellow passengers. There are still a few vacant positions in the new administration, and with his level of statesmanlike conduct he's sure fill one of them soon.